Reward Ready! 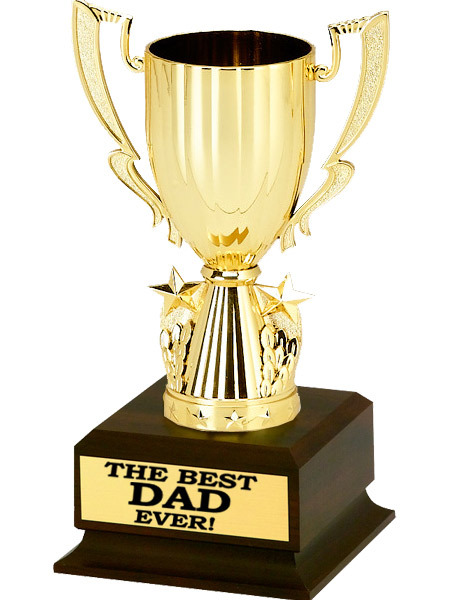 Pre-Personalized Trophy salutes"The Best Dad Ever!" Featuring a fancy gold cup on a walnut tone base, this trophy arrives ready to present as shown.